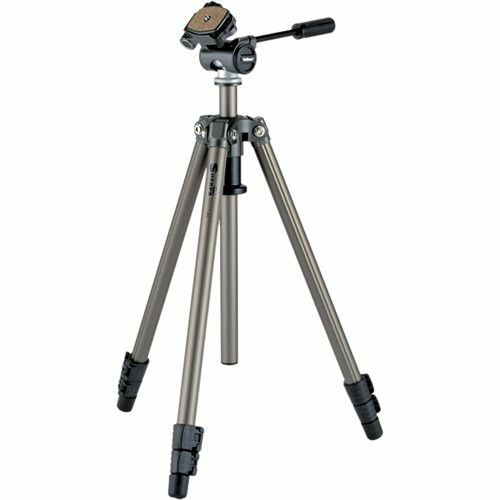 Fast, versatile and easy to use tripod for both enthusiasts and beginners alike. Equipped with the 3-way panhead PH-157Q with Quick-release platform system that incorporates a one-touch handle that allows locking of both pan and tilt movements with one twist. The handle is mounted on the left which allows the user to keep their right hand free to operate the telescope or camera. The Sherpa 200 features a manual slide elevator to adjust height of centre-column.